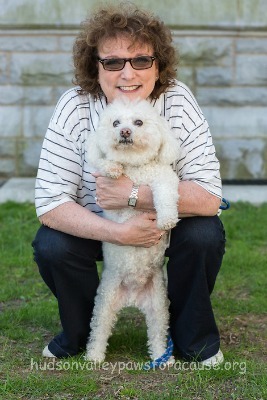 Our founder is Judy Audevard and her Bichon Frise, Kizzy. Judy and her male Bichon Frise, Kizzy, came to pet therapy in an unexpected way. 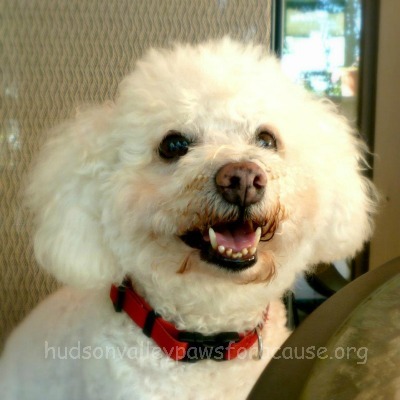 Judy adopted Kizzy from the Greater New York Bichon Frise Rescue Group in 2001. Soon after, Judy decided to take photos of Kizzy with her mom, who had suffered a stroke two years earlier. Her mom was not only unable to move her right arm or hand, she also had great difficulty speaking. Judy placed Kizzy on her mom’s lap. Her mom held Kizzy with her left hand and started stroking him with her right. “I was watching a miracle unfold., said Judy. A few days later, Kizzy was again sitting with Judy’s mom. Judy then had Kizzy trained as a therapy dog. 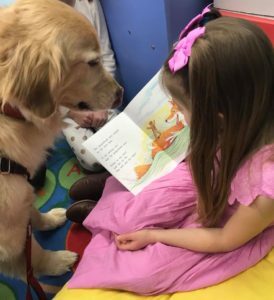 He has certification from Therapy Dogs Incorporated, American Kennel Club Canine Good Citizenship, and Reading Education Assistance Dogs (R.E.A.D.). 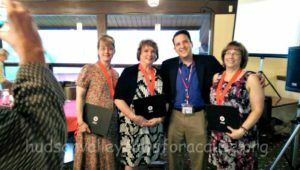 Judy and Kizzy have worked with children and adults at hospitals, libraries and schools in Orangeburg, Harrison, West Haverstraw, Hastings-on-Hudson, Pearl River, Nanuet, and Tappan, New York. Kizzy has also enjoyed some measure of fame. Fans can visit his website, Kizzy’s Korner. He has also been featured in local newspapers and “Ladies Home Journal,” and appeared on TV: WABC Eyewitness News and News Channel 12. Kizzy even stars in his own book: “One Incredible Dog, Kizzy,”a story of a day in his life. Kizzy and Judy have traveled to more than 100 schools promoting the book and explaining the benefits of reading to a dog to students and teachers. 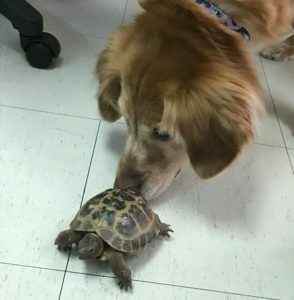 Recently Judy was instrumental in implementing the Red Cross pet therapy program. 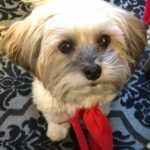 With experience running her own marketing business, as well as her and Kizzy’s involvement with pet therapy and the R.E.A.D. program, Judy saw the need for leadership for this program. 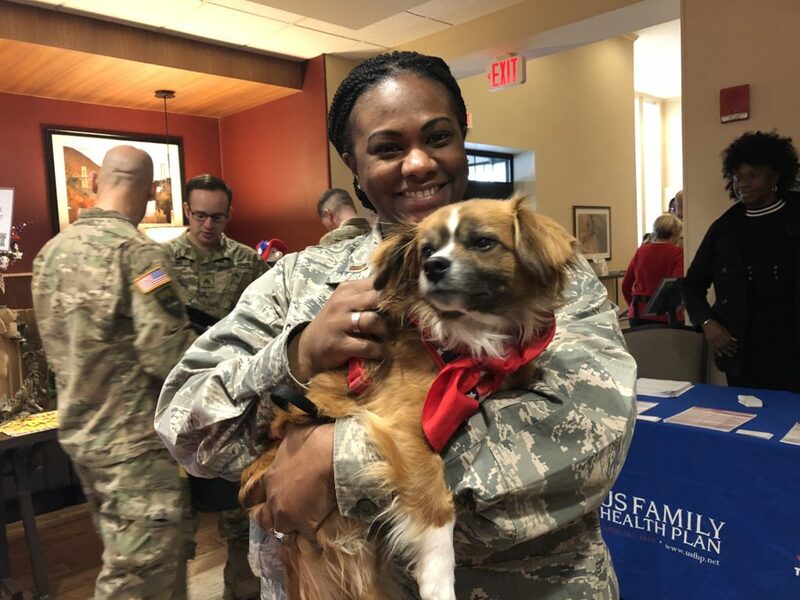 She worked with the West Point Army Community Service group to implement several programs, starting with bringing pet therapy volunteers and their dogs to visit soldiers assigned to the Warrior Transition Unit at the United States Military Academy, West Point, N.Y, then moving on to implement a R.E.A.D. program, a Paws for Kids program and the newest program, a Paws for Cadets program. During one of the R.E.A.D. events, children of deployed soldiers were videotaped reading to a R.E.A.D.-certified dog. The video was then sent to the deployed parent. 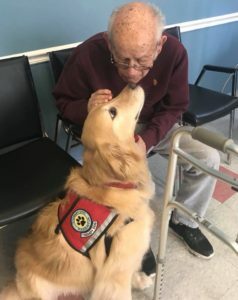 Kizzy has received his TDI-AOV certificate—a therapy dog’s most prestigious award—for being an Active Outstanding Volunteer, and has made more than 400 documented therapy visits. His favorite pastimes are chasing squirrels in his back yard, playing “Kizzy tag” with boys and girls, and sleeping. Judy Audevard and Joe Knipp were recognized as outstanding volunteers because of their great work in launching and supporting the Paws for a Cause program at the United States Military Academy, West Point, NY, and were the recipients of the United States Military Academy’s Black and Gold Award in March 2012. Judy and Kizzy were featured in author Charmain Gordon’s blog. Judy was also presented with the Rasmussen Award at the annual Volunteer Red Cross Recognition Day. What a delightful surprise for all of us, especially for Judy, who has worked so hard to organize our group. 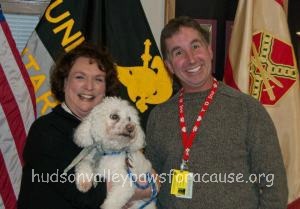 Congratulations, Judy, from your Hudson Valley Paws for a Cause team! !